Dr. Stuart Gould received his undergraduate degree in Biology from Cornell University. He received his D.M.D. from Tufts University School of Dental Medicine in Boston and completed a pediatric dentistry residency at Tufts/New England Medical Center. He also completed a fellowship in Anesthesiology at Mount Sinai Hospital in New York City. 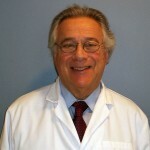 Dr. Gould is a member of many organizations including the American Dental Society of Anesthesiology, Massachusetts Dental Society, and American Dental Association. 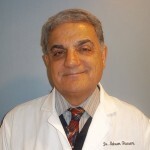 He currently serves as an Assistant Clinical Professor and Director of Pediatric Dental Sedation at Tufts University School of Dental Medicine, Department of Pediatric Dentistry. 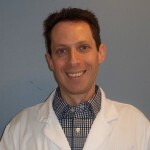 Dr. Jason Gould received his undergraduate degree in Psychology from Hamilton College. He received his D.M.D. from Tufts University School of Dental Medicine in Boston and completed a three year pediatric dentistry residency at Tufts/New England Medical Center. Dr. Gould is a member of many organizations including the American Academy of Pediatric Dentistry, Massachusetts Dental Society, American Dental Association and the Massachusetts Academy of Pediatric Dentistry. 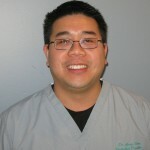 Dr. Jerry Swee received his undergraduate degree in Microbiology and Molecular Genetics from UCLA. He received his D.M.D. from Tufts University School of Dental Medicine in Boston and completed a two year pediatric dentistry residency at Tufts/New England Medical Center. He also holds a masters degree in Oral Biology. Dr. Swee is a member of many organizations including the American Academy of Pediatric Dentistry, American Board of Pediatric Dentistry, Massachusetts Dental Society, American Dental Association and the Massachusetts Academy of Pediatric Dentistry. Dr. Amy Kim obtained her B.A. in Neuroscience from Smith College and completed her Masters degree in Biomedical Sciences at UMDNJ. Dr. Amy further pursued her education at Tufts University School of Dental Medicine where she obtained her D.M.D. After graduation, she worked in the Advanced Education General Dentistry program at the Winslow Indian Health Care Center in Arizona. Dr. Amy completed her post-graduate specialty training in Pediatric Dentistry as chief resident at Tufts University School of Dental Medicine. She is a member of the American Dental Association and American Academy of Pediatric Dentistry. Dr. Bahram Ghassemi has been practicing orthodontics in the Boston area since 1985, and is a diplomat of the American Board of Orthodontics. He received his dental training and a certificate of advanced graduate study in orthodontics at the Boston University School of Dental Medicine. He currently serves as associate clinical professor in the Department of Orthodontics at Tufts University School of Dental Medicine. His research has been published in several leading journals of orthodontics and pediatric dentistry and he is a member of leading professional dental associations including the American Association of Orthodontists, Massachusetts Dental Society and the American Dental Association. Dr. Rayanne Lee received her undergraduate degree from Simon Fraser University, in B.C., Canada, with major in Kinesiology. She received her D.M.D. from Harvard School of Dental Medicine. While at Harvard, she also invested her time in studying public health at Harvard School of Public Health, receiving Master of Public Health (MPH) degree. 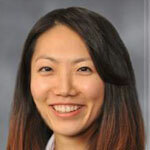 Dr. Lee completed her training in Orthodontics at Rutgers School of Dental Medicine. While at Rutgers, she dedicated her passion in Public Health through her research in prioritization of the elements of malocclusion, receiving Master of Dental Science (MDS) degree. 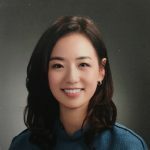 Dr. Lee is a member of many organizations including the American Association of Orthodontists, Massachusetts Dental Society and the American Dental Association.